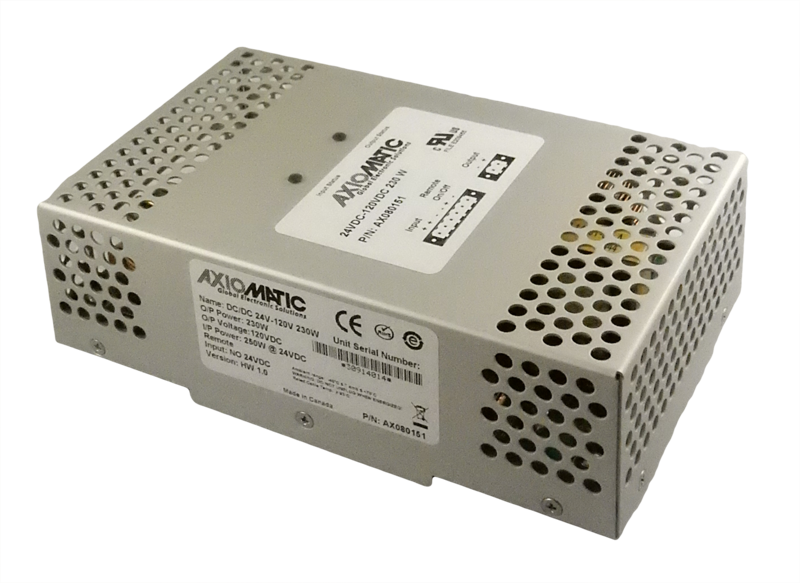 The converter powers devices at 120VDC up to 2 Amps (230 Watts). It accepts 24V DC nominal power input. The unit is enclosed in a DIN rail mount housing for installation in a control panel. It has a cURus recognition and a CE mark. Electrical Connections: Mating plugs are included.